What is your approach to or philosophy on teaching? How can Assessment Improve Student Learning? Why should you be hired over other job applicants? How do you Curb Student Misbehavior? What will make you a great teacher in 5 or 10 years? Most teacher candidates go through many interviews before they eventually get a job offer. One major reason for the high number of interviews is that most prospective teachers typically make several common mistakes. These are the blunders that happen in so many interviews that they “contaminate” any chance of getting hired. Yet, all of these typical and common mistakes have one thing in common – they can all be controlled by you. Each of these interview mistakes is under your control, your supervision, and your influence. You can choose to ignore these miscues or you can chose to do your “homework” and prevent any one of these from sneaking its way into a job interview. If you spend any time on your cell phone in the waiting area or during an interview you will be sending a powerful message to the interviewer: my business is more important than your business. One recent report showed that 50 percent of job candidates were tardy for their interviews. If you really want the job, then you’ll really be on time. Candidates who glance around the room, avoid the eyes of the interviewer, or stare at the aquarium behind the principal’s desk are seen as insecure, unsure, and unconnected. Don’t “over-talk” your answers! Most professional interviewers suggest that the ideal answer to a question should be no shorter than 30 seconds and no longer than two minutes. Can you believe that, in order to make a point, some teacher candidates actually argue with the interviewer? One word: don’t! Many teacher candidates neglect to respond to the one question always in the mind of every principal: How will this person make my job easier? The question will never be asked out loud, but you must always answer it. Some people try to compensate for the stress of an interview by being arrogant or haughty. It’s one thing to be confident; quite another to be arrogant. Be the former, not the latter. Conduct some research on the school or district (many will not). What is their overall philosophy? Are test scores going up or down? What are their long-range goals? Get to know them and they, very likely, will want to get to know you. Slouch in your chair, fold your arms across your chest, fiddle with your car keys, never smile, never make eye contact and the principal knows a lot about you (unfortunately, it’s all negative) without even listening to your responses. An interview is a conversation. If you spend too much time focused on what you want to say and not enough time on listening to what the interviewer is saying then you’ll be involved in a non-productive exchange. Principals want to know if you have a detailed roadmap of where you would like to be in the future. 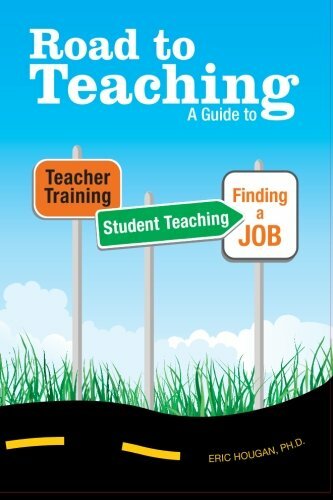 If all you want is a job, then you’ll be like thousands of other teacher candidates – always looking for one. Finally, remember this harsh reality: The interviewer is not interested in hiring you. He or she is interested in hiring the best-qualified individual for the position. In short, YOU are not the commodity. Best advice: Assist the principal by keeping the focus off you and directly on the positive contributions you can make to the welfare of the school. Anthony D. Fredericks, Ed.D. is professor of education at York College of Pennsylvania. An educator for more than four decades, he is an award-winning author of over 150 books. He also maintains a blog (http://aceyourteacherinterview.blogspot.com) where prospective teachers can obtain helpful interview tips, resources and information. Applying for a Teacher Position in an Unfamiliar School? Be Prepared.